Forget bacon. Here comes chicken rice! You would like to come, but you need to convince your boss? Drop your E-Mail and we'll keep you updated! You can also add our Google Calendar to not miss important events. We are so happy to host some of the most amazing people who shape the web everyday and who want to inspire and share their experience with you. Over the two days 18 speakers from all over the world will host in-depth sessions in 2 tracks. "Web Components Are the Future!" 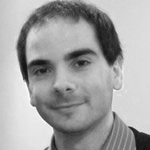 Eric is a Senior Developer Programs Engineer on the Google Chrome team. 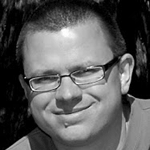 He is the author of "Using the HTML5 Filesystem API" and a core contributor to html5rocks.com. 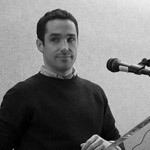 Prior to Google, Eric worked as a software engineer at the University of Michigan where he designed rich web applications and APIs for the university's 19 libraries. "Client-side Frameworks: A Vehicle of Oppression"
Giorgio is a Director of the Windows Evangelism group at Microsoft in Redmond, winner of the Imagine Cup worldwide championship and nominated as Best Consultant of the Year from the British Computer Society. Giorgio is a popular speaker worldwide and in the last 5 years he has presented at hundreds of conferences around the globe. 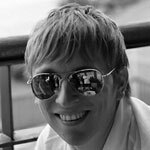 He is the mind behind many beautiful HTML5 applications and games available at beautyoftheweb.com and in the Windows Store. For all Twitter updates from our talk hosts, follow our list! 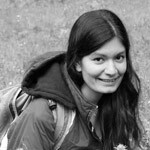 Divya is part of the Adobe Web Platform Team. She made the jump from developing device drivers for Motorola phones to designing websites and has not looked back since. She takes her duties as an Open Web vigilante seriously which has resulted in collaborative projects such as HTML5 Please and HTML5 Boilerplate. "Building Better Apps with Client-side Data"
Irene is a Senior Developer and Data Visualization Specialist at Bocoup. 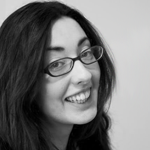 Most recently Irene has been working with the Guardian Interactive Team in the UK on the Miso Project, an open source toolkit designed to expedite the creation of high-quality interactive storytelling and data visualisation content. 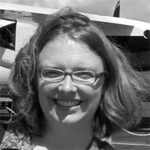 Kate Chapman is the Executive Director and a founding member of the Humanitarian OpenStreetMap Team (HOT). HOT utilizes OpenStreetMap to create free geographic data for disaster preparedness, response, and recovery. Kate's most recent work has been in Indonesia in partnership with AusAID and the Indonesian National Disaster Management Agency (BNPB) to collect infrastructure data. Kate was involved in development of multiple web-GIS applications. 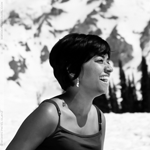 She acted as Developer Community Lead for GeoCommons and served in various technical roles at iMapData. Michal is an Open Web Alchemist, working on Boot2Gecko project at Mozilla. In his free time he creates many ridiculous experiments like CSS Nyan Cat or All your gradient are belong to us. 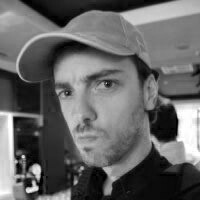 He officiates as an HTML5 GameDev trainer in W3C and ran technical workshops and tech-talks in many countries on different continents. He organizes onGameStart in Warsaw, the first HTML5 games conference and safely says that making web a better place is not just his job - it's his lifestyle. 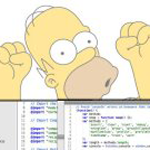 That's why he founds BLYSK, very first serious web animation tool. Jason has been an entrepreneur since 2002. 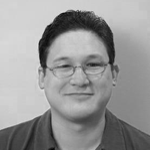 He is an expert deploying, managing, and using CouchDB in the enterprise. 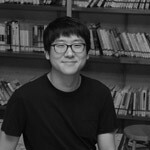 He built the Iris Couch infrastructure and provides the technical vision of the Iris Couch platform. 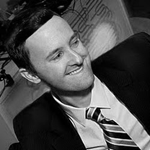 Bradley is the CTO and lead developer of a Singapore-based startup, TradeGecko. 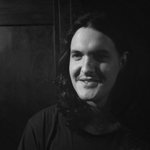 Previously primarily a Ruby developer, over the last 18 months he has thrown himself into the world of JS and client-side technologies, and is now a frequent contributor to Ember.js. 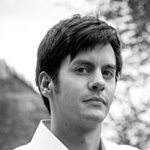 Henrik is the lead client developer and co-founder at HTML5 gaming startup NonStop Games. Originally from Finland, Henrik now lives in and works in Singapore. Over the time of the conference we want you to get your hands dirty. There's plenty of time, power and Wi-Fi to check out this new library, concept or idea you've heard about while the entire community is around. Even better: Professional hosts will explain and guide you in our workshop sessions. 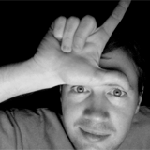 JJ is a developer advocate at Google. 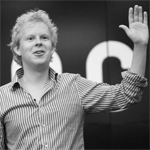 His goal is to help people write high-fidelity, high-performance, rich, client-side applications in Dart. He's a well-known member of the Python community. 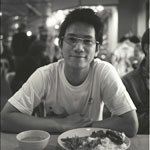 He blogs on topics such as Python, Ruby, Linux, open source software, the Web, and lesser-known programming languages. 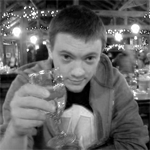 John Britton is a developer and community builder active in open source and education. 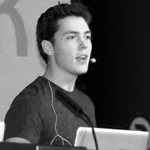 He has organized events such as Open Everything and Mozilla Drumbeat in service of the open source community. Zachary Adam Kaplan is a programmer. Seriously! 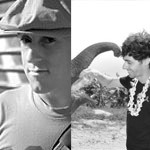 Together they join us from the US as the GitHub team of Liaisons for JSCamp.Asia! 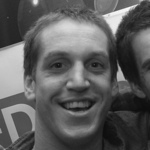 Sam spent over 10 years at startups focusing on multi-platform technologies. 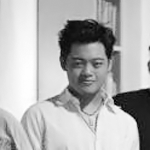 He now organizes a monthly Singapore Node.JS User Group meet up and is a Ruby on Rails + Node.JS developer. Apart from building scalable high volume applications, he also has an interest in DevOps and Continuous Deployment. For all Twitter updates from our workshop hosts, follow our list! Only JSCamp attendees can upgrade their ticket to attend the Tech Entrepreneurship Meetup by JFDI on the evening of November 28th for an additional S$60. 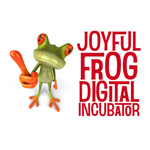 The Joyful Frog Digital Incubator, Southeast Asia’s first Global Accelerator Network seed accelerator, is offering you the exclusive chance to connect with tech entrepreneurs and investors from all over the region over delicious food and drinks. Singapore' Frontend User group will be having their very first meetup and there will be 3 talks along with fast paced lightning talks form the audience. 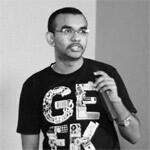 [Talk 1] DRY CSS with SASS 3.2, css pre-processor along with new features and SASS gems by Vinay. 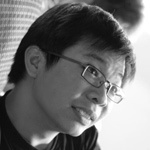 [Talks 2] Things I learnt about responsive design and animation by Shiaw Uen. The user group is also looking for a 3rd speaker, so join the user group and register and come down for the meetup. 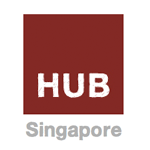 Singapore' Python user group is meeting up in December! 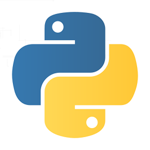 Join them as the developers speak and share about all things python. (Talk 1) Fun ways to learn Python by Chris and Christian Boesch (Talk 2) Fun with GeoDjango by Chuan Yeong, Nai and Calvin. Join the Singapore Python User Group and if you are interested, you are welcome to submit a talk as well. Do register for the event and drop by! Don't forget to pack your swimsuit for JSCamp. We'll have a legit beach party with iced cocktails, BBQ, a pool and the sea to round up the conference and get smoothly into the weekend. Everybody is invited, but only JSCamp attendees get free drinks and food and they don't need to worry about how to get there. We'll have in-style direct transport from the venue. Here is our facebook event so you can invite your friends. Singapore PHP developer group is meeting up with 2 talks in a row for the evening. (1) Kohana - Yet Another PHP Framework by Leong Hean Hong, freelance web developer. The speaker has been using Kohana for his personal projects, and would like to introduce it by comparing it against another popular php framework, CakePHP. (2) Soft-Launch of Open Source Project: PHP-Queue by Michael Cheng, Senior Software Engineer, mig33. 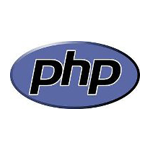 PHP-Queue is an unified front-end for different queuing backends. Includes a REST server, CLI interface, daemon worker roles, etc. The event is free, so register here and mingle with other fellow PHP developers! For those arriving days early or leaving late for JSCamp, The HUB Singapore offers you a desk, Wi-Fi to get some work done and like-minded people to hang out with. It's centrally located at Somerset MRT and they do great coffee. This offer is valid only for JSCamp attendees and only the two days before and after the event. Check it out! 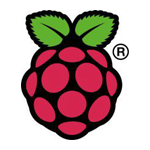 Singapore RaspberryPI hardware geek group is meeting up with two presentations while you can mingle at the Hackerspace Singapore! (1) Hackerspace Door opening/close Hack using Raspberry Pi++ by Michael Cheng. 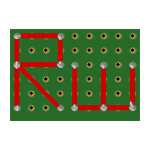 (2) Coconut Pi By Eng Wei/Shan. The event is free, just register here! Make yourself at home. NUSS will serve you snacks, drinks and a delicious lunch buffet here. This big room will host the keynotes and the Under Water Track as well as our workshop introductions. The three rooms on the second floor combined host our Beach Track of talks and workshops. Parallel to all ongoings we'll offer hang-out space, power and Wifi up on the 3rd floor for you. You'll also find our Palm Track here and Jimmy Monkey's Café. If buffet is not enough, the Café offers Western and Asian cuisines inside and on its terrace right next to the pool. This is an NUSS offer and not included in the ticket. If you're craving a little extra Asia, The Scholar offers exquisite Chinese cuisine. In the south of the National University of Singapore nests this modern Alumni Club. Besides flexible conference functions it offers its members all kinds of sport facilities, restaurants and bars. Some of those will also be available to our guests during the time of JSCamp. Just to make a great event yet a little bit better. We are making a great extra effort to provide an open and free Wi-Fi internet connection capable of feeding several hundred devices. This way you can use all your favorite webservices during our workshops and connect right away with the other amazing people you're going to meet. 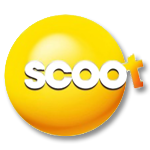 With scoot there is a new budget airline in town that wants to make travel from and to Singapore even cheaper. They already cover some locations throughout Southeast Asia and Australia and are worth checking out. 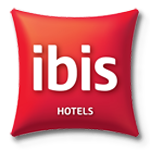 The ibis Hotel Bencoolen is a modern, sleek budget hotel with solid service, good breakfast and, of course, in-room Wi-Fi. It's located very central in Singapore and we'll offer transfer services from this hotel to the conference. Meet the glorious ones. The ones that make this event happen through their financial and organizational support. Google just moved into their brand-spanking new office here in Singapore and is a great supporter of the local developer community in South-East Asia. 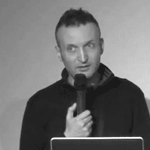 At JScamp they'll share insights into some of their newest web developments. Microsoft's Developer & Platform Evangelism (DPE) group builds a vibrant solutions ecosystem through evangelism, community engagement and technology marketing. The biggest software company in the world has a long history of support for the Southeast Asian developer community. From consumer products to enterprise solutions they power the most popular platforms for developers around the world to work with. PropertyGuru.com.sg is the leading Singapore Property website - the best place to start your real estate search whether you are an investor, buying for own use, or looking for a place to rent. In PropertyGuru, you can find thousands of properties for sale and rent with detailed information about each property, including maps and photos. Softlayer just opened a huge datacenter here in Singapore to be able to serve Asia even better with their physical and virtual cloud offers. We are happy that they support us in our mission to bring you a great conference. Along with the community, Adobe is developing new web standards and advancing existing ones. Adobe wants to make the web more wonderful by championing features in the W3C and engineering those features directly in open browser engines like Webkit. Mozilla is a proudly non-profit organization dedicated to keeping the power of the Web in people’s hands. We’re a global community of users, contributors and developers working to innovate on your behalf. When you use Firefox, or any Mozilla product, you become a part of that community, helping us build a brighter future for the Web. GitHub is version control for software development and so much more. Whether it's a weekend side project, your favorite open source library, a startup destined for glory, or your company's app, GitHub helps everyone work together with tools for easier collaboration and more visibility. Check it out — open source is free! As long as you have a great and inspiring time, we are happy. Please do share your feedback with us. This is gonna be your conference! Write us!